We are pleased to say that top UK poker professional and WPT winner, John Gale, will be making regular contributions to UK Poker News. Last week was the Grosvenor Victoria festival of poker. Yours truly played in four tournaments each with an ever increasing degree of consummate and abject failure! Monday was the £750 No Limit Hold'em which paid 18 places. By sheer magnificent strategy, I managed to play until 3.00 am and went out in 25th. The next night was the Omaha High/Low, a disappointing 83 runners which paid only 9 places. I excelled myself yet again and even though up with the chip-leaders for most of the night, I tangled up with Lee Nelson, duly lost for all my chips and went out in 12th. Wednesday was the Omaha double chance. This was a disastrous tourney eventually won by Marc Goodwin with Lee Nelson second and Stuart Nash in third. I managed to last till midway through the third level which was extremely fortuitous as I desperately needed an early night. Thursday was the start of the main event with 258 runners and two flights. I played on day 1 and had amassed until 15 minutes from the end of play around 42,000 in chips. I still managed to get involved in a massive pot where my AK was soundly beaten by KQ; seems to happen an awful lot lately. I guess there are thousands of you who know the feeling when the poker gods laugh at you; there is not a lot you can do about it but smile ruefully. Strange though, I didn't smile a lot at the time. The Vic still has its idiosyncrasies which could put a lot of players on tilt before they have even played a hand. I pulled up outside on Monday to be greeted by the doorman who told me the car park was full; great start. After driving around for a good 15 minutes I eventually found a space about six miles from the club; at least it seemed that far. The tables are still too small to comfortably seat 10 people and are too close together to afford any room at all. In fact, once you are in your seat, you've got absolutely no chance of getting out of it again at least till the break. About 5 hours into play on the first night, our table broke and we were moved upstairs where fortunately there is a little more space. I now had a lot of chips, far too many too carry and as there were no racks available, I had to borrow someone's baseball cap to get my chips upstairs - typical of the Vic. Having played there for about 25 years though, I'm pretty used to these inconveniences. Will I play the next festival there? Of course I will. The Vic, for all its faults, has the friendliest bunch of players in the world, the best dealers and the best floor people and tournament directors. 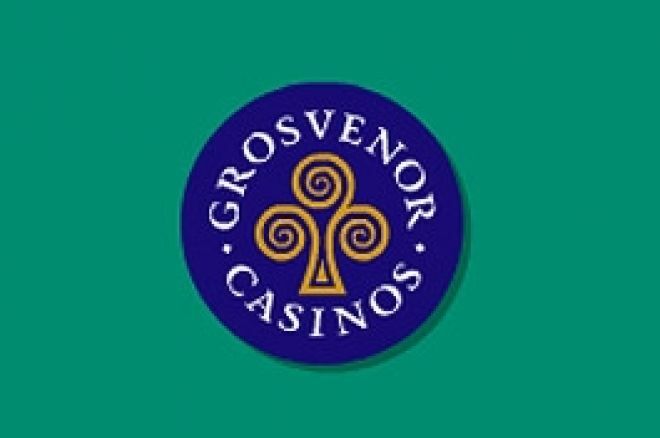 For those of you who have never played there, you are seriously missing out on a great poker experience; get yourselves down there pronto and enjoy the unique atmosphere that only the Vic can offer. Sorry I can't report further on the Main Event, but I lost interest in the event when I got busted, in fact, I'm still sulking about it! I went on to play the British Poker Open on Saturday morning, Gus Hansen and I were chip leaders when we managed to bump heads and get all our chips in pre-flop. I had A10 and Gus had KQ, my bogey hand. A queen came on the flop (of course) and I went home early again. I won't spoil the result for you as it's on TV (The Poker Channel) shortly. Not a great week for me but I'm off to the Bellagio next Tuesday for three weeks and I'll report back with my progress or lack of it and have a few more whinges and moans about bad beats. Only kidding I hope! God Bless the Vic and all who play in her!